Many might be asking, why in the world I am teaching a Baptist doctrine class. We'll the answer is simple. I serve at a Baptist Church. And for the most part I understand Baptist doctrine. The two go hand in hand. I try my best to stay polite while voicing my disagreements. Hopefully this video can be a continual resource. 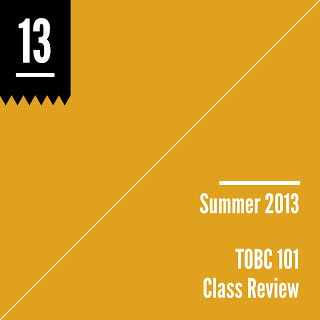 These TOBC 101 posts will actually lag behind about a week from the summer classes. This will allow me to collect some thoughts about the class, reflect on questions and get some 20/20 prospective. These posts will also, to the best of my ability, contain the video from earlier this year, the audio from this summer and the PDF notes that go along with the class. The introduction lesson is always interesting for me. The first time the class was offered, we did not have an introduction week and we launched head first into the character and nature of God. Things were changed significantly for the second go-around of the class and those changes have been carried forward into this third offering. That said, the introduction week is my attempt to alter people's perception of the doctrines we are covering before we actually cover them. This helps the class in general approach each subsequent week with a "what new way will we look at this doctrine" instead of the typical "can't wait to get my view approved" approach. The introduction week allows me to stretch from start to finish on the topics of creation, salvation and Jesus Christ's lived out work. Correlating these things and tying them together actually establishes the ground work for questions on sanctification, church discipline, etc. while permitting me to avoid strict "proof text" arguments that can sometimes occur when discussing these topics. The introduction class always provides me with a clear picture of how much "Biblical Theology" the class really has. Since the topic is not one that we strictly teach, I don't expect any single student to have a fully developed understanding but some students clearly have thought more on the subject than others. This introduction class highlights to me the things that will be "more fun" to talk about in the future.